Cast iron Dutch ovens are known for making some of the most delicious meals, from slow roasted meats to your favorite fruit cobbler. When cooking with this deluxe nine and one-third quart, 12" Dutch oven your menu will expand because the lid doubles as a full size skillet. Simply turn the lid over to cook eggs, bacon or pancakes, then replace the lid and start cooking your favorite potatoes for the next meal. 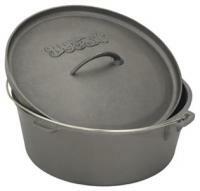 •Shipping Dimensions: 15.2" x 15.2" x 7.75"
I loved the Dutch Oven. I had planned to use it on my stove at home since I don't camp. We make a tomato pot roast that is to "die" for and the oven really makes it even better. I used it once, it cleaned up perfect and the family loved it. When I purchased I neglected to pay attention to bottom of the oven. It has feet and this will not fit on my electric stove in my new home. Excellent, taste of food cooked in the oven. Brings back memories of my moms cooking in cast iron! Camp Chef was launched on the notion that there JUST HAD TO BE A BETTER WAY TO COOK OUTDOORS! In 1990, Ty Measom, an engineer for a Logan fabrication company felt that there was an opportunity in the outdoor cooking market that wasn't being addressed. He recognized that many people were campers and had other outdoor cooking interests and still wanted to be able to grill and cook in the outdoors - not just on the patio. So began Camp Chef and the design of a stove that was versatile enough to address the needs of the avid outdoorsman and camper. Camp Chef's first stove was the DB-60D, a powerful 2 burner stove with side shelves. It has changed some over the years but it is still the flag ship of the Camp Chef line renamed the Pro-60. The Pro-60's initial preview at a catering show created a buzz about the "NEW" way to cook outdoors. The PRO 60 eventually won Consumer Digest's Best Buy award. Cold call sales came fairly easy because there was nothing like it on the market. One dealer at a time, one show at a time, one customer at a time; Camp Chef was born and its' tag line became "The Way to Cook OutdoorsÂ". 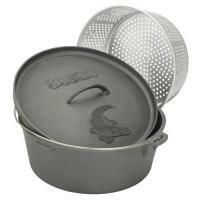 Camp Chef continued to grow adding accessories that were designed to make cooking more convenient, versatile, and easy. Barbecue grill boxes, griddles, and carry bags all became part of the Camp Chef modular cooking systemÂ. 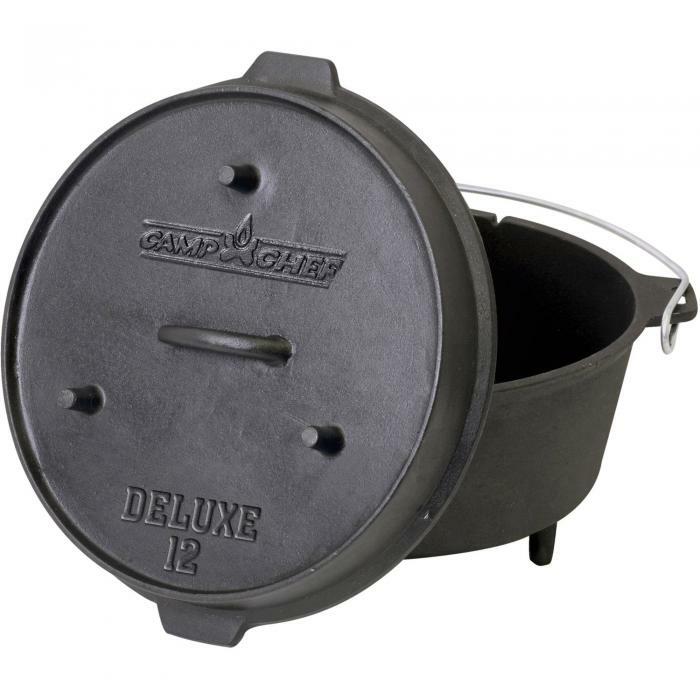 Camp Chef entered the Cast iron cooking market in the year 2000 thanks to a customer whose Ultimate Dutch Oven worked very well on the stoves. 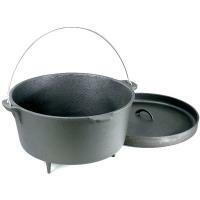 Camp Chef has become renowned for its cast iron quality and the True Season finish it has on all it cast iron products. Besides the Camp Chef brand; Camp Chef now produces numerous private label cast iron pieces for several key outlets. Camp Chef's latest adventure in the outdoor cooking market is our smokers, we have partnered with Browning to create the Browning Smoke VaultÂ. The smoke vault has the widest heat range available today. Camp Chef is ever continuing to improve its' products and create new products that fulfill our customer's outdoor cooking needs. Remember Camp Chef is where you are at! So take a trip around our web sight and discover for yourself, Camp Chef "the way to cook outdoors". 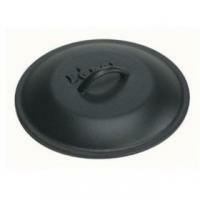 Lodge Iron Cover 10 1/4" Dia.